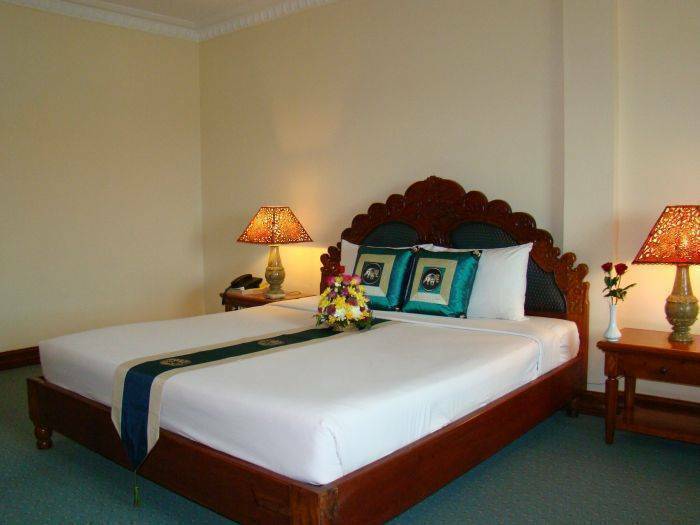 All our rooms are comfortable and neatly furnished in traditional Cambodian style, with all the modern amenities. Our elegant restaurant offers exotic Cambodian, Asian and Western Cuisine with All-Day Dining and Room Service available. 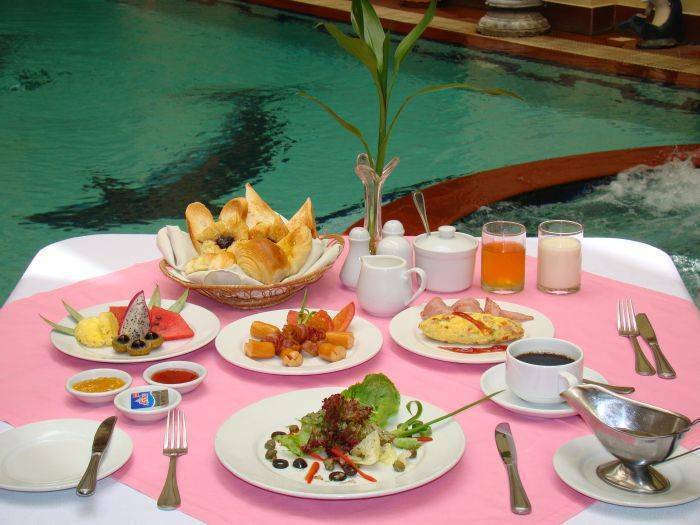 Restaurant, Lobby Bar, Gymnasium, Conference Room, Luggage Room, Souvenir Shop, Indoor Swimming Pool. DELUXE ROOM (Twin, Double, Triple, Single) A pleasant and spacious of 38square meters for deluxe twin and 40 square meters for deluxe double rooms represents Cambodian & Art deco interior design where the doors and furniture are made of native Cambodian wood which comfortably cushioned is beautiful traditional fabric. 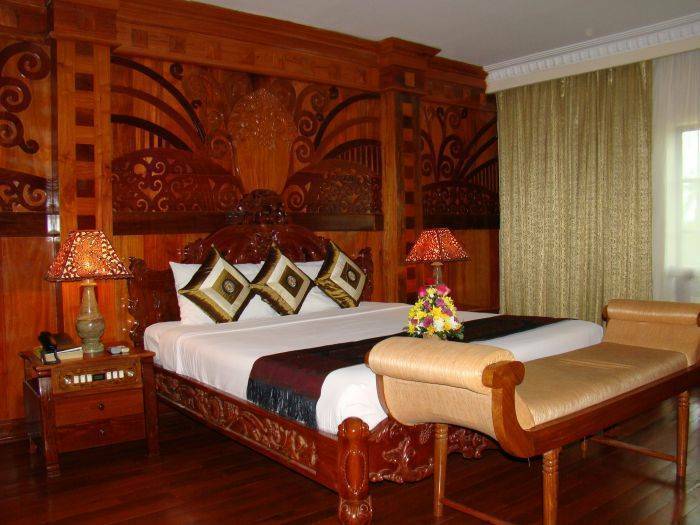 SUITE ROOM The ultimate in design, space of 75 square meters, which tastefully decoration and designed with completely Khmer wooden caving on wall of bedside and a big bathroom with separate shower. A/C climate control Coffee and Tea making facilities Coffee/tea maker Full Amenities in bathroom Hairdryer Individual controlled air-con Internet access Iron/ironing board Keycard system Maid service daily Mini-bar Non-smoking rooms Remote control with Safe box in room Scale Separate shower (Suite only) Sleeper Smoking rooms Television (cable/satellite) Wake-up calls Wireless internet access (all rooms) bath robe. Majestic Angkor Hotel is located in the heart of Siem Reap City just only 3 km from the down town and near the Shopping area and war museum. 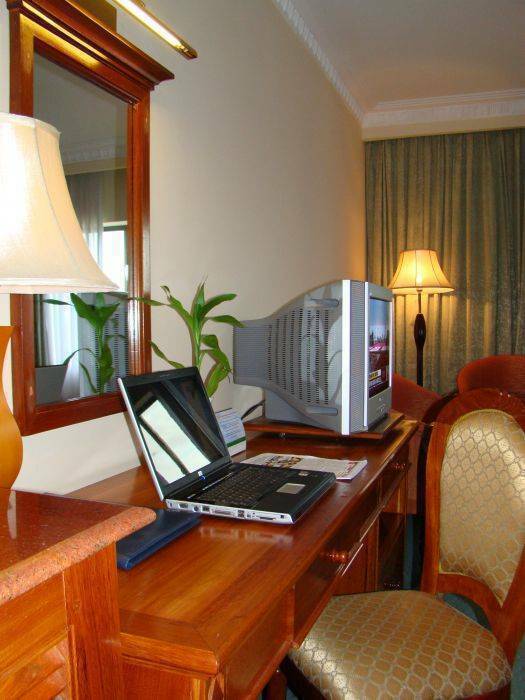 -All payments will settle at the hotel upon arrival or departure, credit card guarantees will require for all booking. -All booking cancellation must be received to the room reservation 7 days during high season and 2 days during low season prior to guests' check-in. 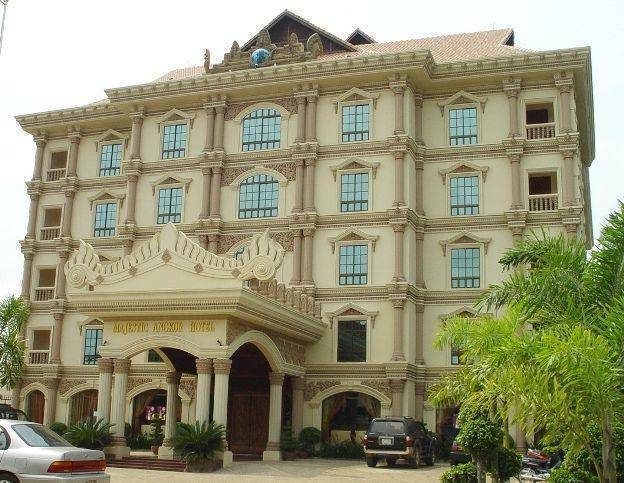 Majestic Angkor Hotel is located a long National Road No 6, overlooking Siem Reap Angkor. 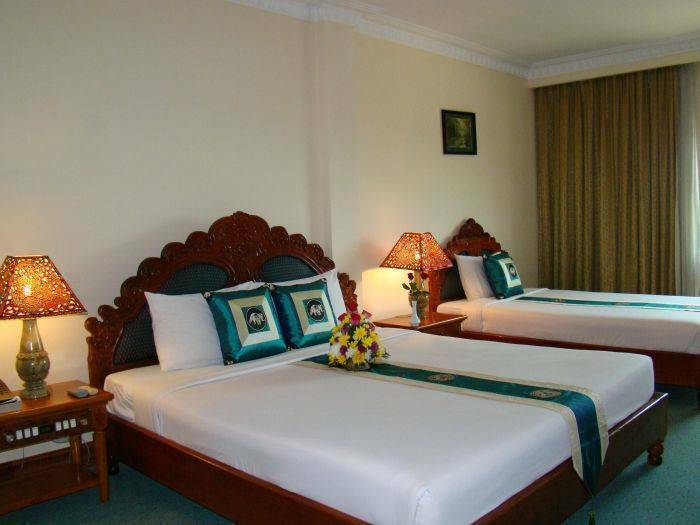 The Hotel is just 15 minutes drive from the Siem Reap International Airport, 10 minutes to town and 25 minutes to world famous heritage site of Angkor Wat temple.